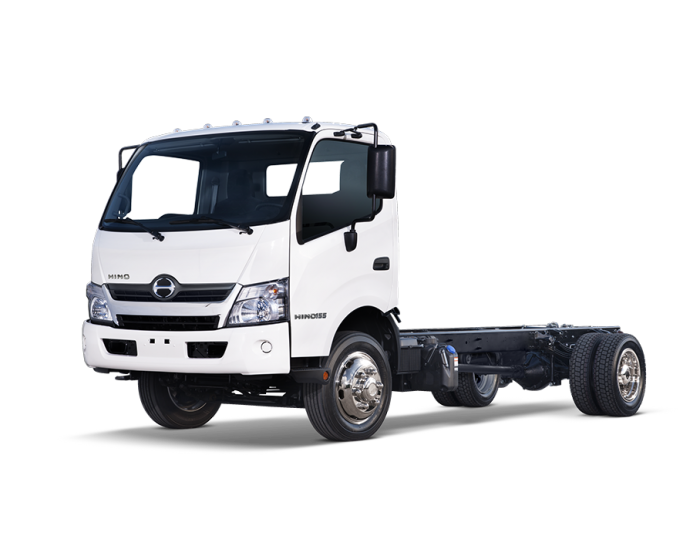 The newly introduced Class 4 Hino 155 is powered by Hino’s award-winning 5-liter J05 series engine rated at 210 HP and 440 lb.-ft. torque. It comes available in a standard cab and also a crew cab (155-DC) with seating capacity up to seven for the whole crew. The 155 is up to the toughest of tasks with best-in-class frame yield strength of 56,900 PSI while still providing the benefit of a tight turning radius to get you in and out of the tightest of spaces. Total support, brick by brick.